Currently works with The State of Nevada Bureau of Rehabilitation Services, Rebuilding All Goals Efficiently, Federal Veteran’s Administration, Nevada Community Enrichment Program and Touro University. Debbie Hansen OTR/L, CHT DRS has been an Occupational Therapist in Nevada since 1984 graduating from the University of Wisconsin-Milwaukee. 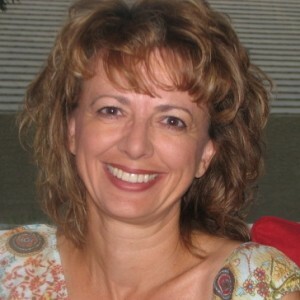 She is the owner of Adaptive Driving Rehab since January 2012, established in Las Vegas in 1994. A therapist with a focus on driving rehabilitation and a certification in hand therapy, she is a member of the American Occupational Therapy Association, Association for Driving Rehab Specialists and American Society of Hand Therapists. Her local involvement includes a membership to the Southern Nevada Traffic Safety Council and participant in CarFit, a volunteer senior driving program. Debbie is an adjunct professor at Touro University in the Occupational Therapy Department. She has presented “Driving with Dementia- Research, Reports and Reality” to physicians and Nevada social workers. Additionally, she has been a guest speaker at The Nevada Occupational Therapy Annual meeting as well as MS and CVA support groups. Adaptive Driving Rehab is committed to individualized, professional and confidential assessment utilizing research based literature to support a comprehensive assessment.